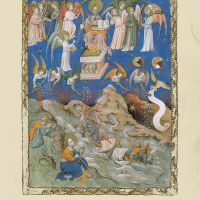 Shelf mark: ms. néerlandais 3. 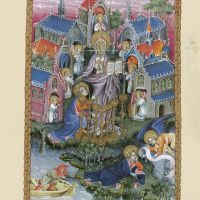 Size: 340 x 250 mm. 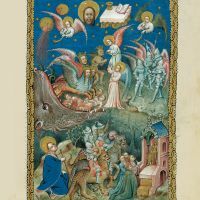 50 pages, 23 full-page illuminations decorated with gold. 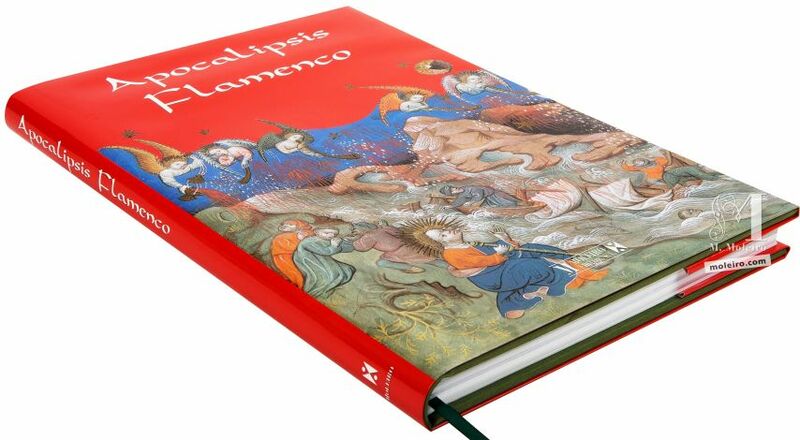 Bound in deep red leather. 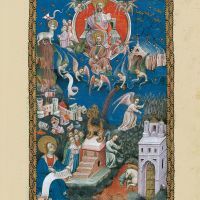 Full-colour commentary volume (224 p.) by Jos Koldeweij (Radboud University, Nijmegen) and Nelly de Hommel (University of Amsterdam). 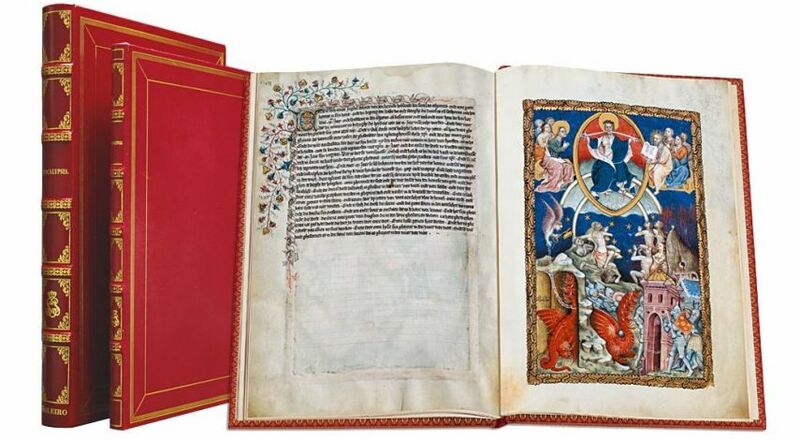 The book contains all the miniatures, with all their nuances, followed by a detailed explanation that will allow you to discover until the very last secret of these beautiful pieces of art. 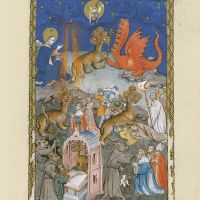 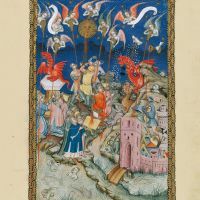 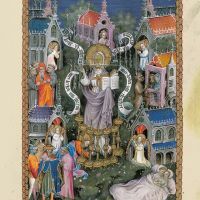 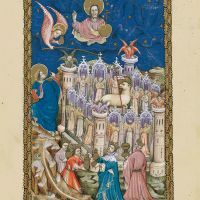 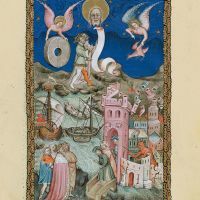 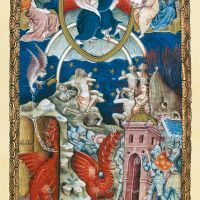 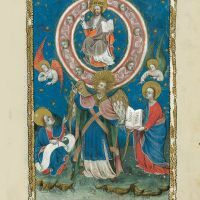 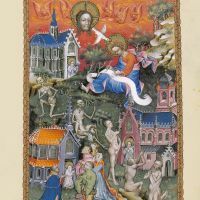 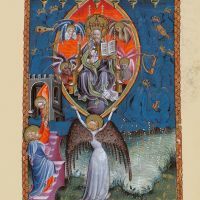 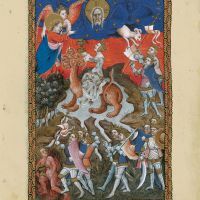 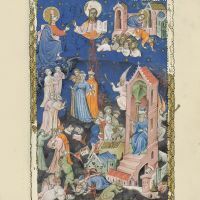 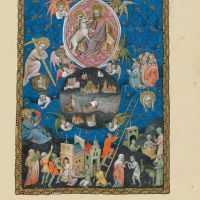 The Bibliothèque nationale de France manuscript is unique amongst illustrated Apocalypse codices. 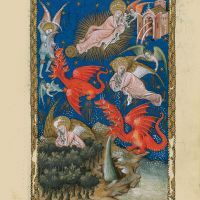 It features the artwork of exceptionally talented miniaturists who recreate the illustrations customary in this type of text, whilst incorporating motifs found in no other artistic tradition. 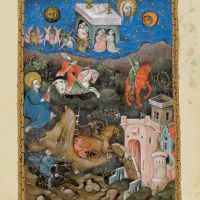 The spectacular visionary nature and enigmatic atmosphere of each miniature are the perfect complement to the text. 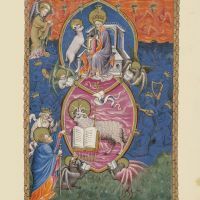 Some of the features peculiar to its miniatures make this codex a faithful reflection of the Flemish thinking of that period. 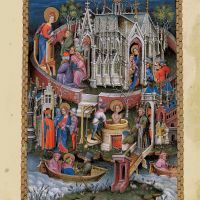 This manuscript constitutes the culmination of pre-Van Eyck realism in terms of both form and contents.